GoPro Hero5 Black VS Garmin VIRB Ultra 30: Which one is better? At the developing stage of action cameras, Garmin was a potential competitor of GoPro developers with its impressive camera design. But later the modified models of GoPro influenced the market to the max. Although both these cameras are having almost same features and the price range is also very similar but still few things make them stand far apart from each other. Action camera lovers are curious to know such details in deep so that they can make better selection. Garmin has ability to record data such as movement, speed and even readers from other devices like fitness tracker; thus it is an ideal device for athletes who wish to track their workouts. On the other side GoPro device can assists you in underwater shooting even without housing. It has ability to record audio from external mics also with much better performance. The article below will help you to observe all features in detail with the complete comparison guide. 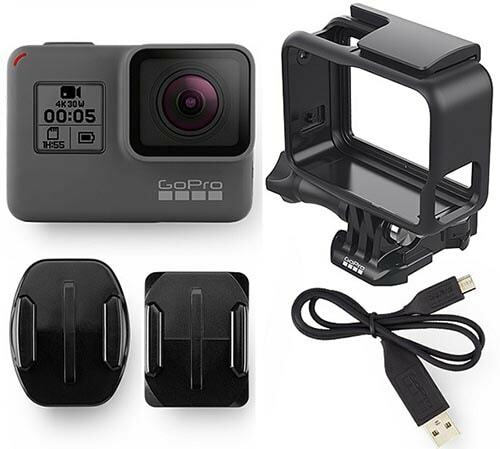 Hero5 design is following the same blocky shape of GoPro series but this camera is wrapped inside a rubber case with special protection around lens, ports and the battery doors. It helps users to take this camera under water up to 10 meters, in mild bumps, splashes and in light rain too. 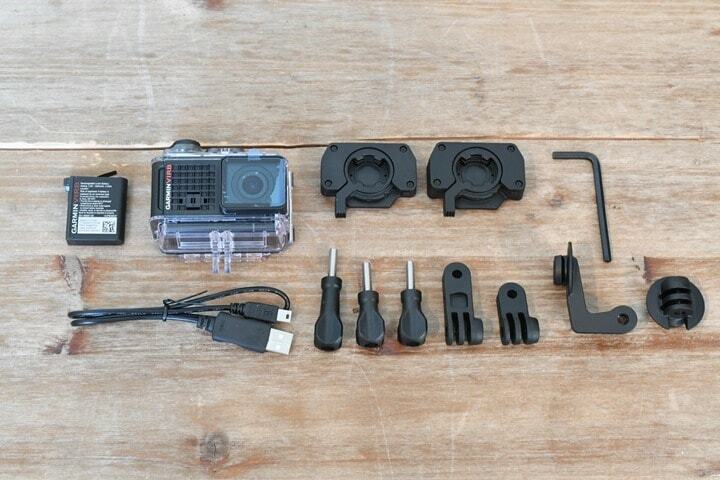 On the other side, Garmin is made compatible with the extensive mounting options of GoPro due to addition of slotted connectors. It possesses the miniUSB interface on the boxy shape and the attractive design make is look same as most of mobile devices. Here is a big advantage of buying Hero5 Black for adventure sports lovers because this camera can be taken under water up to 60 meter depth with a case. Garmin developers have still added beauty to their camera design even while supporting its waterproofing ability via additional case. It is possible to use the touch screen of this device with this additional casing up to 40 meters. Additionally the water proof case also assists in better mic connectivity so that sound can always stay as clear as it can be without case. Garmin design is offering G-Metrix that is an advanced fitness tracking overlay. It consists of so many advanced sensors like gyroscope, barometer, altimeter, accelerometer and magnetometer along with GPS sensor. It can record all major parameters during your workout including the measurement of pace, speed, altitude etc. This advanced unit can also capture data from other sensors like bike speed sensor, heart rate monitor and many more. The Edit software of Garmin assists users to incorporate this data automatically into videos. But the GPS feature of GoPro Hero5 Black is not that useful as it works same as you common Instagram and Facebook applications. It simply adds tags to your footage and images saying you visited this place. This basic sensor cannot be used to track other details like Garmin sensors. The 2” LCD touch screen of GoPro device makes navigation much easier and simple controls. You can directly make changes for field of view, frame rate and resolution from bottom layer. When you swipe left then it will call all recorded videos and photos whereas swiping right leads to advanced settings where you can control Raw file formats, white balance, ISO and many more. If we talk about Gramin VIRB Ultra 30 then its screen also offers so many shortcut controls. Left side leads to automatic video and photo setting key. Users find this interface much clearer as compared to GoPro device and the touch screen can be also operated with external housing. Gramin Ultra 30 can be directly connected to mobile application that also assists in live streaming of all recorded videos and photos. Hero5 Black can provide stunning video quality even at its HD 1080p resolution level and further much improved with 4K level. It never let footage details go blur but in case of Ultra 30 you can often find little blurred details. The footage colour support also differs by great extend in both cases as GoPro leads to a warn tone whereas Gramin is popular for its cool bias. Hero5 Black allows users to create RAW images that can be later processed via additional software programs. Its wide dynamic mode assists in HDR level recording so that all shadows and highlights can be well captured. The addition of 4K resolution in Gramin is a big advantage for users as it leads to much crisp and breathtaking detail for every shoot. As the mics can be easily connected even with external housing so sound quality of this device is much better as compared to its competitor. You can check the video from 3:45’’ to get detailed differences. Whereas, the Ultra 30 has a better performance in low light. Both these devices are designed with electronic image stabilization and it is achieved with the help of software instead of hardware adjustments. Although both device manufacturers have worked upon this feature, yet Hero5 Black is reported to have better performance. Users reveal that Hero5 Black can provide impressive footage stabilization even when it is recorded by mounting camera over helmet while driving bike. This feature makes Hero5 Black camera footage safe from sudden shakes and jerks and is rated better for athletes. You can check the below video to get the detailed information. GoPro is developed with the advanced audio track support that allows users to record audio details in a secondary file and users can even generate three separate tracks with ease. This is actually a cool addition to GoPro series and an auto switch is always ready to reduce noise from recorded audio signals. Both Hero5 Black and Ultra 30 can be controlled with voice commands but the GoPro unit has more commands and allows better controls. The best part is that GoPro voice control supports seven different languages like: Japanese, Chinese, Spanish, German, Italian, French and English. All these commands can be send via a microphone same as the normal audio signals. For Garmin device this is just an introductory feature, it is not well developed but for beginners it is really good. GoPro action camera can be better controlled from iOS and Android devices with the help of specially designed GoPro apps. There are five different applications available for GoPro device: Capture, Quick (mobile & desktop), Splice and GoPro Studio. On the other side Gramin Virb can also be controlled from distance via Virb Applications that also allow easy editing of footage. With Virb apps you can also enjoy live streaming on YouTube. Virb application can also be used on Mobile as well as on desktop. If you want to develop a unique and beautiful footage, then GoPro is best option for you, It can also lead to much stabilized details even when you record shoots from Karma drone and the Quick editor app can help you to improve details further. If we talk about Garmin then it deals with data in much better manner. The advanced monitoring sensors and activity trackers make it more useful for athletes. GoPro Hero Session Vs Polaroid Cube+: Which one is better for you? GoPro Hero5 Black vs. Yi 4K Action Camera: Which is Better?